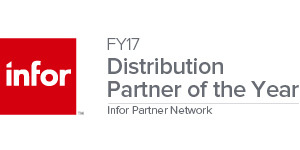 Why Aktion for Infor Distribution Cloud Services? Aktion Associates has been installing and supporting Infor Distribution applications for nearly 20 years, giving us unparalleled software expertise in the hosting community. We developed our data center not only to support Infor applications, but to be a scalable, secure, fully redundant, high-availability environment that meets our client’s computing needs – today, tomorrow, and well into the future. Click the link below to download a flyer to learn more about why Aktion + Infor is your complete IT solution. Learn more about Aktion’s Cloud & Managed Service offerings built specifically with Distributors in mind by visiting http://www.aktion.com/acms-for-distribution/. This page is your one-stop-shop to find more resources, find upcoming events, and live webinars featuring our Cloud & Managed Service offering. Watch a short half-hour webinar specifically on Aktion’s Cloud Service offerings specifically designed for the distribution industry. With presenter & Aktion’s Technology Business Unit, Steve Rogers giving valuable insight into problems distributors face. How Important is IT? – If IT is just a budget line item, rethink that strategy. Demo – Brief demo on Infor applications in Aktion’s private Cloud environment. 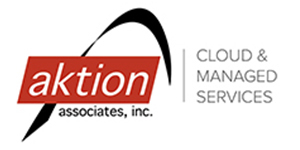 If you have any questions about Aktion’s Cloud & Managed Service offerings please send Marketing Coordinator Jared Gater an email explaining that you’re interested learning more about Aktion’s Cloud & Managed Services offering. Aktion Associates is a national IT consulting company specializing in the Distribution industry.